Ahead of arriving in Vrindavan to serve meal to underprivileged school children, Prime Minister Narendra Modi Monday praised the efforts of an NGO towards eradicating hunger from the country. 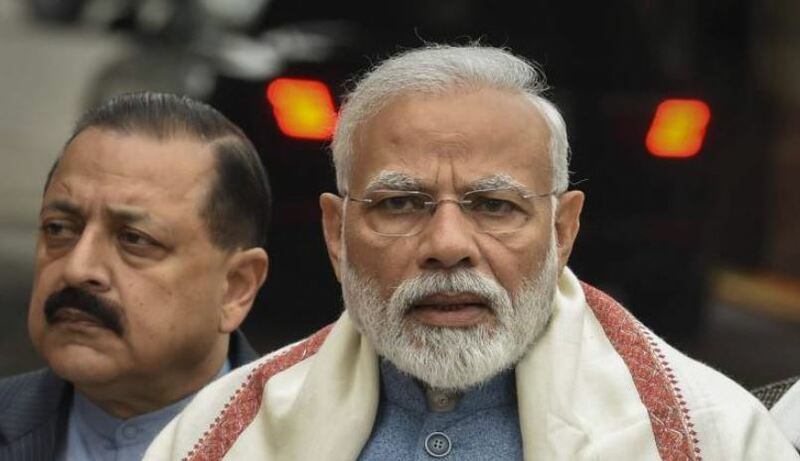 Vrindavan: Ahead of arriving in Vrindavan to serve meal to underprivileged schoolchildren, Prime Minister Narendra Modi Monday praised the efforts of an NGO towards eradicating hunger from the country. A massive stage has been erected at the venue and beautifully decked up. "The prime minister will serve food to about 20 schoolchildren from underprivileged background in the campus, marking the three billionth meal offered by Akshaya Patra," Naveena Neerada Dasa, the head of strategic communications in ISKCON, said. The foundation has a state-of-the-art kitchen in Vrindavan and Modi will serve food to children near the facility. Uttar Pradesh Chief Minister Yogi Adityanath, HRD minister Prakash Javadekar, BJP's Mathura MP Hema Malini will also join the prime minister at the event. "Arrangements have been made for over 10,500 people, including parents, teachers of schoolchildren, our donors and other well-wishers of the foundation, and enclosures have been made for them," Dasa told . The prime minister and the UP chief minister will address the gathering, he said. Modi will also pay floral tribute at the Vigraha of Srila Prabhupad, the Acharya of ISCKON, the Union government said.